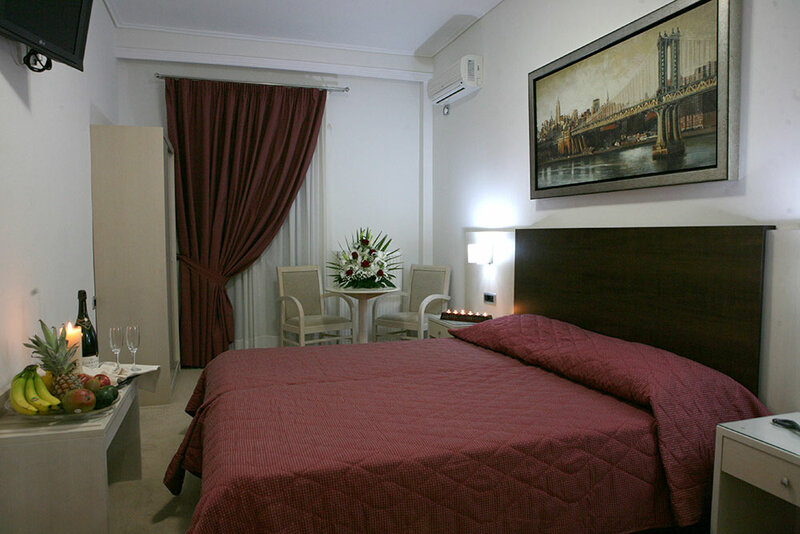 The rooms in the Omiros Luxury Hotel are designed specifically to offer to guests a private, comfortable and relaxing setting in which to enjoy the accommodation offered by the hotel. 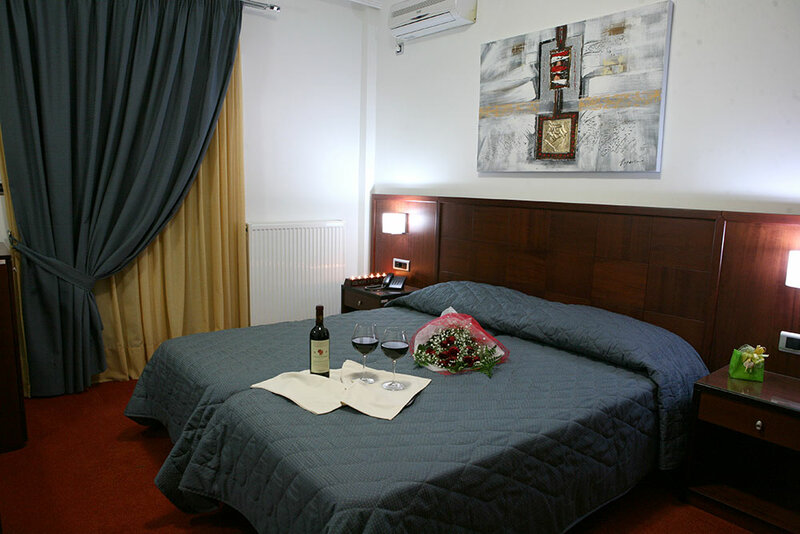 The rooms have an independent balcony with views, where some balconies are facing the sea, and some the green garden and the surrounding mountain area. 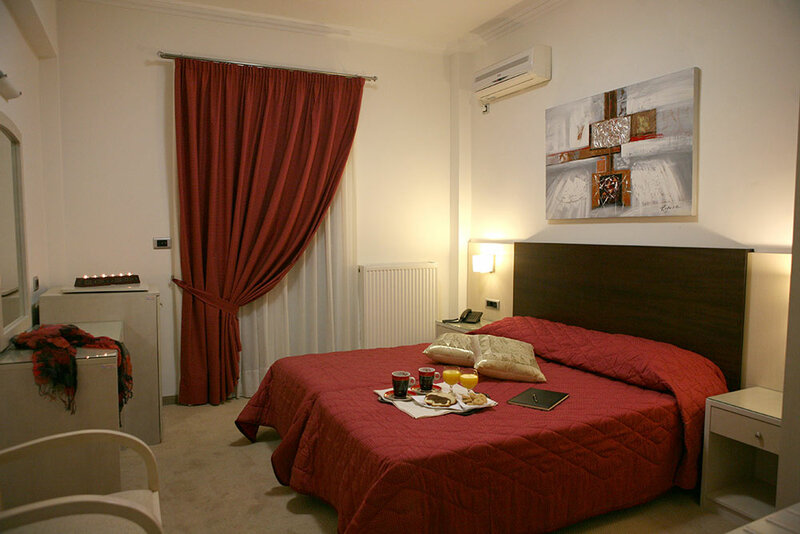 Each room, has its own name such as "Roma", "Firenze" and "Venezia" as well as it’s own character. 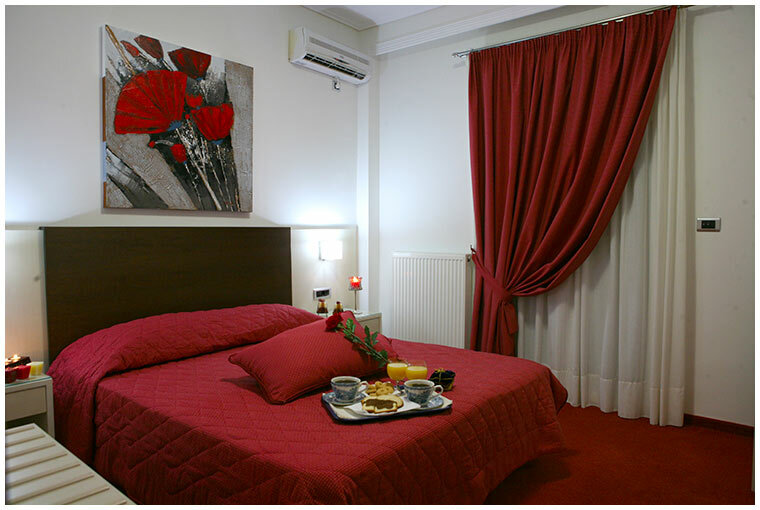 Each room has as a common base, the luxury, the tasteful decoration, the warmth and the tranquil feeling. 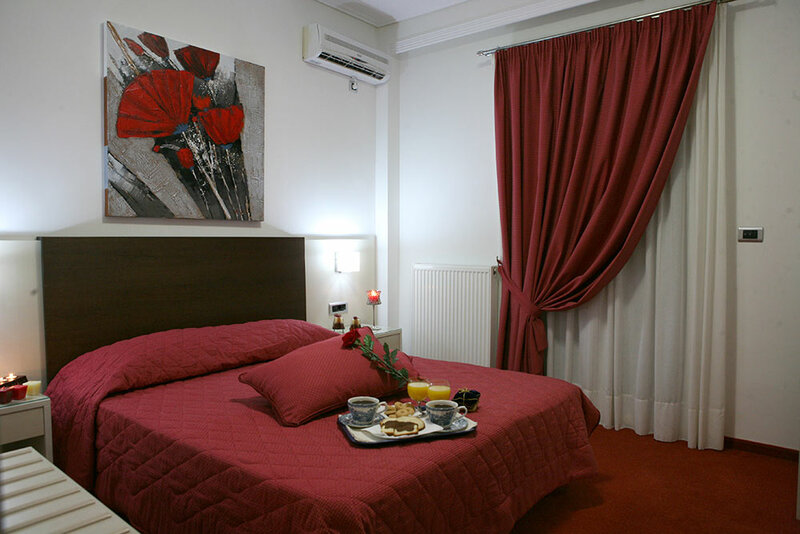 All of the rooms through the Hotel Omiros combine the luscious materials, warm colors, and designs in rich and modern patterns that form to create a very warm and friendly atmosphere. 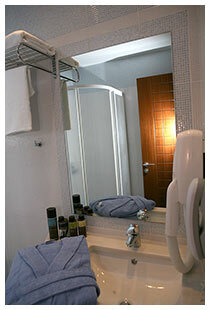 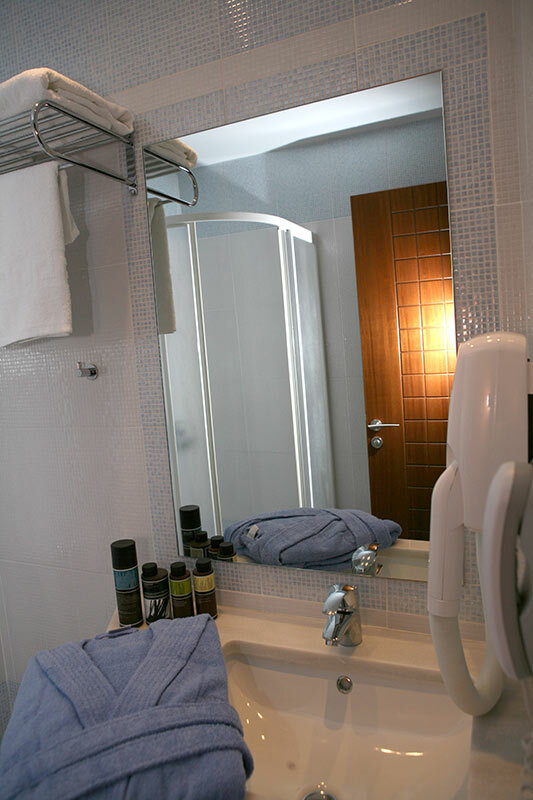 The Omiros Hotel also has available a room for guests with special needs and suitable access for all areas of the hotel. 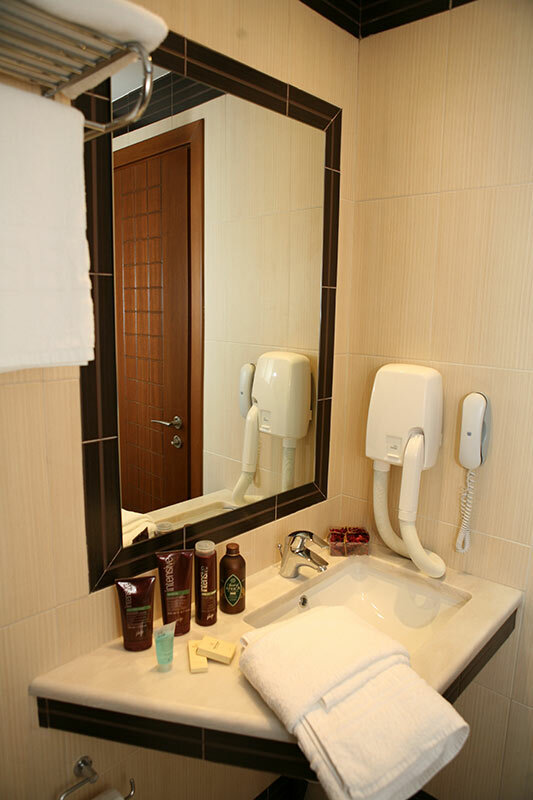 For guests who smoke, we have used for the decoration and equipment of our hotel, non toxic materials ( carpets, varnishes, paints ). 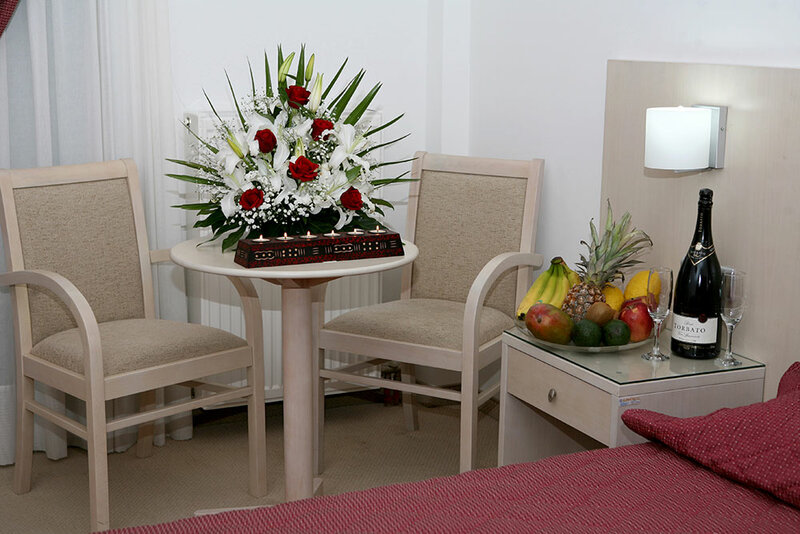 For the safety and convenience of all of our guests, please refrain from smoking within the rooms and interior common use areas of the hotel.